Follow the steps below to install CityBook via WordPress. Step 1 – Unzip the package just downloaded from Themeforest. Find the folder theme and find the file citybook.zip inside it. 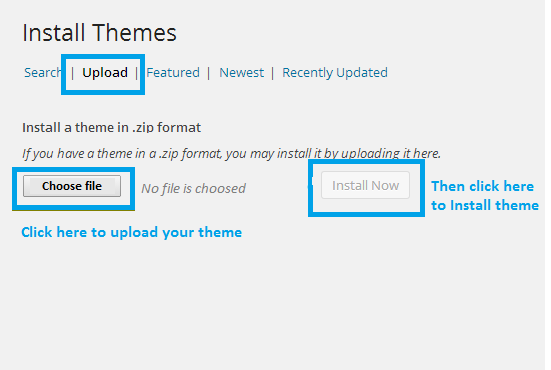 Step 2 – Log in to your WordPress dashboard, go to Appearance > Themes then click Install Themes tab and select Upload. Step 4 – Wait while the theme is uploaded and installed. It may take a while. Step 5 – Activate the theme: Go to Appearance > Themes and Activate. Step 6 – Once you activate CityBook theme, you will be redirected to our Welcome Screen. You’ll find a prompt to install CityBook’s required plugins, CityBook Addons plugin and the Elementor plugin… Click here to learn how to install CityBook’s required plugins. Common Install Error: Are You Sure You Want To Do This? “Are You Sure You Want To Do This” message may occur, which means that you are limited in uploading file size. Consider installing the theme via FTP if this happens, or call your hosting company and ask them for increasing the limited size.